No-one said monitoring your child's online activity was easy. Going behind their back and checking their browser history after the fact is one way of doing it, but it's retroactive and tends to lack important information. And you can't quite look over their shoulder and watch their usage all the time. The traditional method of locking down the family computer with parental controls works to an extent, but it still feeds back very little data about how your child is using the web, how long they're on a site, and what they're really up to when they're meant to be doing homework. Computer entrepreneur Young Song thinks he's found a solution to this problem. It was his own parenting experience that helped him come up with the idea of MiiPC - an Android-based computer that's shipping this month and comes equipped with its own app monitoring service. "I've been making computers for 20 years, but the idea for MiiPC came when I saw my daughter's phone bill and it turned out she sent 5,000 text messages a month," explains Song. "She didn't know she was sending that much, and while she argued that most of her texts were as simple as 'LOL', she eventually agreed it was too many." It was the sort of log that Song felt was sorely missing when it came to his children's computer usage. "The bill history meant that I was able to discuss the problem with my daughter - I had the facts and we could communicate about it. "When it came to my son, though, I could only tell him he was playing Minecraft too much, but I had nothing to back that up. His argument was that he always started at least 10 minutes after his homework. I had no way to corroborate this. I thought he was going to get addicted but I couldn't confirm how much time he spent playing. What if I was just being overly suspicious?" Solving this dilemma is at the heart of the MiiPC eco-system. 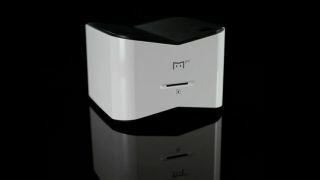 The MiiPC is a standalone mini PC powered by a 1.2GHz processor and 4GB of storage running Android 4.2. It has a smattering of slots including USB, SD and HDMI, and has been designed as a low-cost computer that works with any screen, keyboard and mouse you connect to it. So far, so normal. But the accompanying Android app is designed to allow you to remotely monitor web and software usage in real time, and to 'kill' any programs being used that you deem unsuitable. "The MiiPC app is a cloud-based remote control that allows you to block apps, limit the time spent on particular apps and websites, and monitor internet history," says Young. "This is my attempt to create the best child computing experience, where the parents don't need to be beside the computer but can still see how it's being used. "By monitoring in this way, you can see how long your child spends on sites like Facebook and speak to them about this. They may not even know they have been spending hours on these sites, so it creates a dialogue with your child that simply wasn't possible before." If that dialogue isn't enough, then the parent has the power to control what can and what can't be used on the PC. "If a parent sees that their child is playing Angry Birds far too much, then they can limit the time they spend on it," notes Song. "Or there's the kill switch: you can turn the game off remotely and it takes around 10 seconds to prevent the child from playing the game."